After a year of extensive negotiations with Walibi Holland, The FunGayDay Foundation regrets to let you know that there will be no FunGayDay @ Walibi. In spite of enthusiasm from both sides since late 2015, matters agreed upon and many ‘done deals’ about the programme and the day have now been negated by Walibi. Their argument? We leave it to you to find a meaning in this. Although we are extremely disappointed with this result, we are moving onwards and upwards. We will now investigate other options to organize FunGayDay. 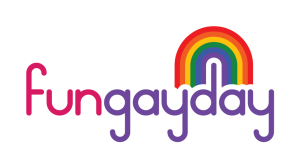 FunGayDay is a non-profit event for “LGBT etc.“, so for all lesbians, gays, bisexuals and transgenders, but álso for “etc.”, so everyone who is a supporter of the LGBT community and would enjoy to participate in the event.